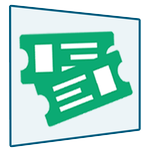 Scan Tickets, Look up names on your guestlists and use multiple devices without worrying about the same ticket being used twice using the JTicketing Events manager app. JTicketing has an awesome events manager app! Try the free versions of the app from the Android Playstore or Apple App Store. If you like what you see, order a customisation. JTicketing Pro App lets you easily validate ticket QR codes using the camera based scanner in addition to all the features present in the free version of the JTicketing App. Event Owners rejoice! The JTicketing Event Managers app for Android & iOS is here!! The JTicketing Event Manager's application lets the event organisers stay organised & check in the attendees at their Event using our awesome Scan - Search functions using their iOS or Android device. All the check-in's are synced with your Joomla site database. Note that the Apps need our REST API package to be installed on your site and plugins enabled to work. Please make sure you follow our documentation to set it up. Also ensure that your website supports the system requirements on this page given below. Manually Look up and check in attendees off a list by using search feature functionality. The Techjoomla branded JTicketing app is completely free & available for download on the Apple Store & the Google Play Store. This App simply needs your Event owners to fill in your site URL & their login details to start using the App.The free version does not limit any features. Just that in a branded version you wont see any Techjomla or Jticketing branding. Note that you need to upgrade to Jticketing version 1.4.4+ to be able to able to use this app. Also you will need to setup Techjoomla's REST API extension to allow users to connect via the app. Detailed Instructions for Setting up your site for app use are available here. What does custom branding include ? Help with publishing the app on Itunes and the Google Playstore with your custom content on your own account. Upon completing your purchase you will be mailed a link to a form that asks for all the customisation related information. Once you complete the form, our friendly team will get back to you with an estimated timeframe for launch.